Oh, how time flies! Remember when we gave you five celebrity daughters that you should be following on Instagram? Well, we think that list needs updating. We did some major stalking online this week and found these new personalities who should be on your radar already. These young ladies aren't only known because of their famous parents, but also because they're doing their own thing. Check out who's on our must-stalk lists these days below. Does she look familiar? It's because Kaila has been appearing in fashion and beauty stories on the pages of Candy. The 20-year-old has also recently won the SM Youth Go-See Season 1, and walked the runway with other SM Youth Ambassadors, like LA Aguinaldo, Tommy Esguerra, Richard Juan, among others. You've probably been seeing the face of Angelina everywhere these days. The 14-year-old is the newest face of Careline Cosmetics, and has recently met with a few members of the press for her debut where she revealed that she's busy preparing for her ninth grade in school and loves Math and Art. Just like her beauty queen mom, peeps are thinking that Leila might be the next Bb. Pilipinas who'll represent us in international beauty pageants. But it seems like it's not in her mind yet because the stunner is currently enjoying her life as a teen. BTW, doesn't she remind you of Selena Gomez? This 17-year-old young lady recently graduated high school from the Saint Pedro Poveda College, as her mom shared on Instagram. When one follower asked Jackie Lou whether or not Ara's planning to join showbiz, too, she says that she doesn't know yet but maybe. Aww, we'd really want to see her on TV or in the movies if ever! While Hannah's sister is a known fashion, fitness, and lifestyle blogger in the media world, her mom says in an interview with Smart Parenting that their 16-year-old is the "host and entertainer" of the family. And she's also athletic because her mom revealed that Hannah is a champion gymnast! 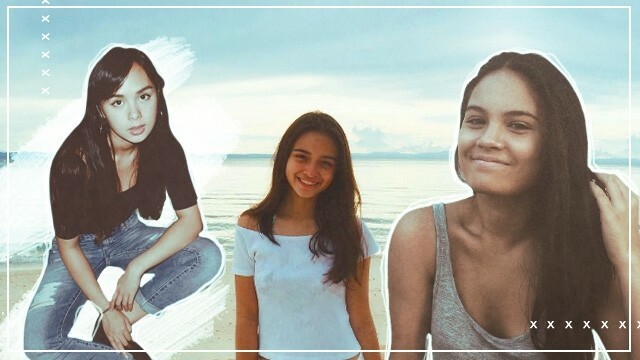 Fourteen-year-old Maxine is the spitting image of her older sister, Janine Gutierrez. Just go through her solo photos on Instagram and you'll get easily confused. Think you've seen her somewhere already? 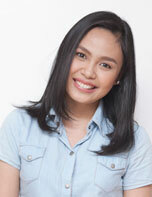 Maria or Mariel joined Binibining Pilipinas in 2013, where she revealed that she's planning to open up a cafeteria. Yup, she can cook! The 21-year-old finished Professional Cookery in New Zealand.